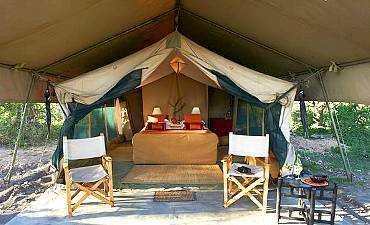 Are You Planning A Tanzania Safari To Serengeti? Scroll Down.. The Serengeti National Park was established nearly a hundred years ago as a colonial game reserve, made a National Park in 1951, and later endorsed as a UNESCO World Heritage Site in 1979. 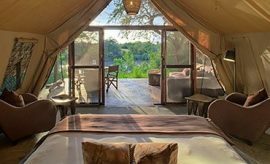 One of the last remaining areas of untouched wilderness, it lies securely in the Serengeti ecosystem, an area that stretches from the woodlands, lakes and grassy plains of Ndutu in southern Serengeti to the northern verdant river expanse till Masai Mara National Reserve in Kenya. 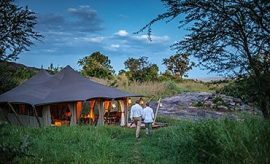 This ecosystem covers 25,000 square kilometers, within which the Serengeti National Park consists of almost 15,000 square kilometers of protected ecological treasures, to be discovered on an AfricanMecca dream safari vacation to Tanzania. Any ecosystem is composed of interlinked and interdependent phenomena, including the topography, climate and situation, the wildlife and the effects of human usage. The climate of the Serengeti is defined by periods of rain and drought. The geography of the area ranges from apparently limitless grass plains in the south, fertilized by volcanic ash rich in life-giving phosphates, to wooded highlands in the east, crossed by rivers and studded with island outcrops or kopjes of eroded granite, home to hundreds of vulnerable inhabitants such as the rare black rhinoceros. 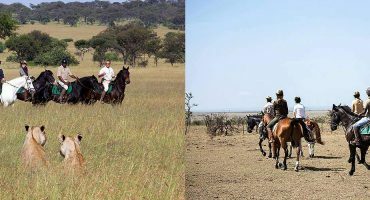 Across these vast plains range a fantastic cast of wild fauna including impressive numbers of hooved herbivores, predators and avi-fauna. Amongst them, the principal actors are blue wildebeest or gnu (a.k.a. white-bearded wildebeest), determining the nature of the ecosystem by their spectacular annual Great Migration, “The Greatest Show Of The Natural World”, during which they trek in circumambulation, in their millions, 3200 kilometers from northern Tanzania to south-western Kenya and back again, as the plains dry out seasonally, forcing them to seek fresh pastures. In turn, their odyssey affects other creatures. 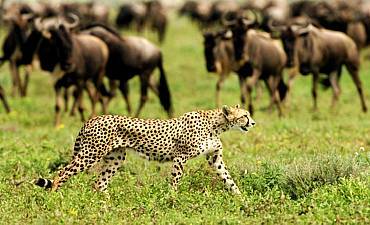 Lions, jackals, hyenas, leopards and cheetahs prey on the migrating and resident herds. Vultures subsist on the predators’ leavings. The herds leave tons of dung which enriches the grasslands, providing food and nurseries for many varieties of dung beetles. 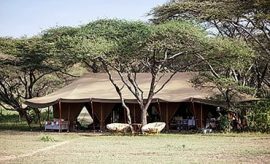 Serengeti National Park is a wonderland in which to experience the interwoven miracles of life and death on a wondrous East African safari adventure. There is still a place on Earth where life was as in the beginning; a place where life still scintillates. 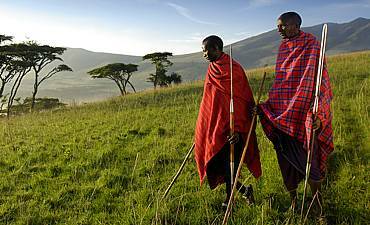 To the Maasai tribe, a pastoralist people in the Ngorongoro and Serengeti, this is the place where the land runs on forever, a land suspended in time, a last refuge of the largest concentration of wildlife remaining on earth; an endless array of grassy plains, woodlands and hills dotted with glorious animals of every type and size. Long ago, before the age of man, mountains to the east of this natural wildlife refuge spurted their fury, laying a long and thick blanket of volcanic ash. Entire mountain ranges were buried, leaving only the mountain summits as lone markers of an ancient world, long lost. Over the course of four million years, ash turned to rich soil yielding vast grasslands, and today cradling some of the most important animal species on earth. Yet of this richly diverse habitat, one species stands out from all others, as it is the foundation of the wildlife ecosystem in the Serengeti. 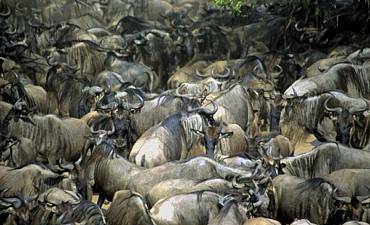 With herds reaching over one million, it is the wildebeest that affects many other species. Often called the Serengeti Clown, the wildebeests are magnificently endowed, ready for their endless search of rich grasslands and freshwater. Alongside this massive population of wildebeest, co-exist other herbivores, equally drawn by the rich and varied vegetation of the Serengeti. The Serengeti, ruled by simplest of life’s principles, where herbivores eat plant, and carnivores eat herbivores, thus resulting in the magnificently rich animal life diversification; a paradise, where lions and cheetah hunt with might and stealth, a great generosity offered by the enormous wildebeest herds, where nothing is left to waste here on the Serengeti plains. In the short rain season, the wildebeest herds grow strong on the short-grass plains of the southern Serengeti including the Kusini, Ndutu, Masek and Maswa wilderness. 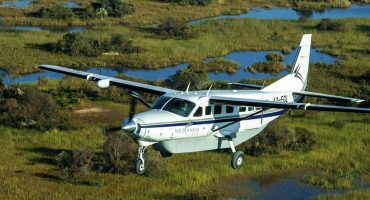 But as the lack of pasture and water deepens around April, it demands movement, a defining moment for the wildebeest herds…migrate or starve. For nearly 1.5 million animals, this becomes a race against death; against hunger and thirst. The herds accompanied by zebras and gazelles drive towards the Grumeti River west and Mara River north via central Seronera bypass, drawn toward Mother Nature’s promise of water and grass. 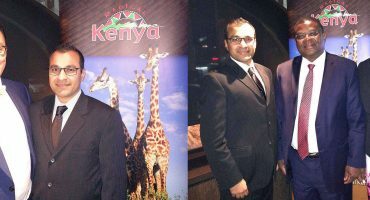 This epic yearly journey takes place between the two African countries of Tanzania and Kenya. The wildebeest herds migrate north towards the famed Masai Mara Reserve in southwestern Kenya, where they roam for three to four months (July, August, September to parts of October), until the rains resume and then migrate back to eastern Lobo Serengeti, becoming a deadly gauntlet of predator versus herbivore that lasts more than 800 kilometers (500 miles). 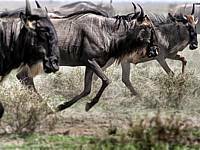 The wildebeests dedicate the commencement of each migration with the breeding season in southern Serengeti. Within the first few weeks of this long migration, bulls engage in constant battles over females and territories. Within just a few weeks, 90% of all the cows are impregnated. 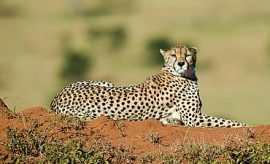 It is during this time that the herds move past Moru’s large granite outcroppings called kopjes, now, temporarily changed to perfect vantage points for waiting predators. 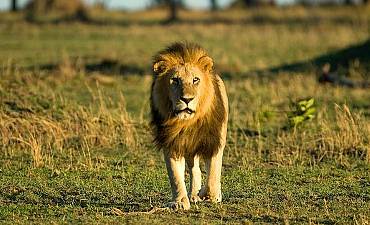 There is neither malice nor remorse on the Serengeti, just a paradise to eat and feed all of its own. As the migration passes through the woodlands of the Serengeti, the permanent residents, including the Maasai giraffe, look on uninterested. These need not migrate, as they feast on the permanent, drought resistant, woodland foliage – the acacia trees. Other species, like the savanna baboon, roam the woodlands by day and roosting in trees by night, feeding on almost anything within their reach. Herbivores feeding on nearby grasslands must be ever watchful of the predators. Yet, there is one herbivore with little to worry about; the Serengeti adult elephant has virtually no enemy. After months of facing the force of strong predators, the dangers of brush fires, the wildebeest finally reach the paradise grasslands of the Masai Mara in Kenya starting July and August and, their instincts bringing them to a place of plenty. Here, they will live and range for few months until the rains return in October. To the southeast, lies a microcosm of the Serengeti, the Ngorongoro Crater, a large volcanic caldera encompassing 100 square miles of rich, fertile land. Entombed in an Eden lie rich forests and foraging vegetation, an abundant feast for resident animal species. Hippopotamus, rhinos and thousands of other animals make their home here, others only migrate for the season e.g. lesser flamingos. But, like other ecosystems, dangers lurk here too. 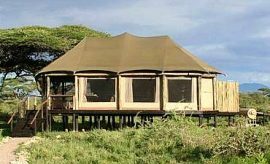 The Ngorongoro Crater offers refuge to endangered species like the black rhino, who endures this limited paradise, as it offers protection against poachers who hunt the rhino for its precious horn, while at the same time offering a banquet of options for the ever prideful lion. 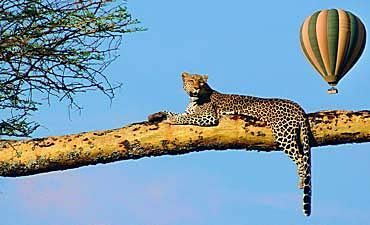 Serengeti ecology is also known as the “Cradle Of Mankind”. It was here in the southeastern plains near Ngorongoro lies Olduvai Gorge and Laetoli, wherein lies a human fossil record that dates back 3.7 million years. Today, it is the proud Maasai people that dwell here, following the pastoralist lifestyle of their chaperoned wildlife friends, the wildebeest.